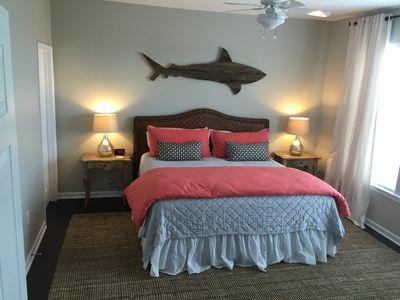 COUPLES CALL IT "PERFECT" - COME AND SEE WHY! 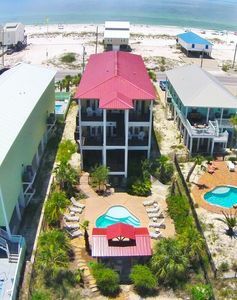 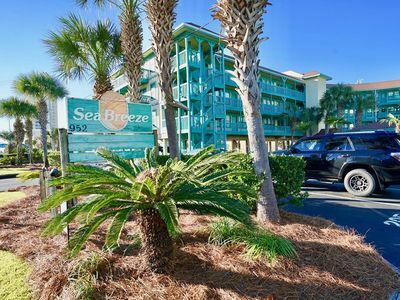 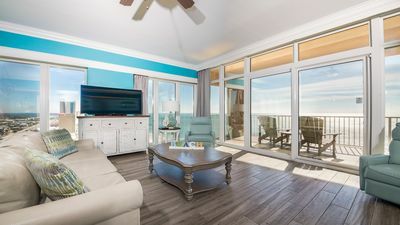 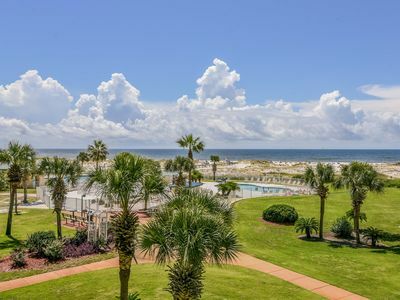 Romantic 4th floor corner hideaway for a couple, peaceful watercolor retreat for the work-weary, you'll have an unbeatable beach view from the panoramic windows and balcony doors of this Gulf Shores Plantation Dunes sunsuite. 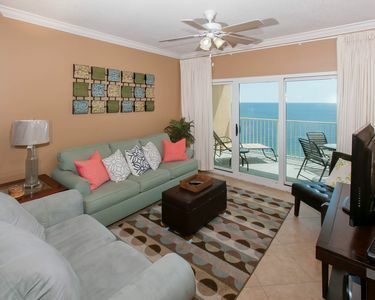 11 (center window) and 12 (balcony view). 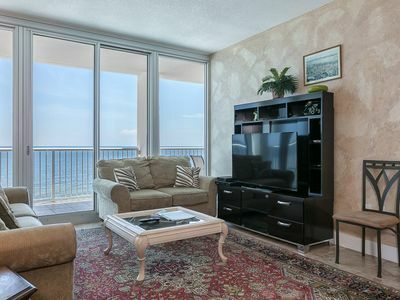 Head for the ocean as soon as you arrive or just relax, listen to the water, and watch dolphins play from the sofa in its sunny interior or its matching recliner..
A condo Sunsuite means one big room, divided into areas for relaxing watching television, sleeping, cooking and eating, plus a separate bathroom, 500 square feet total, so please do not take more than 4 people! 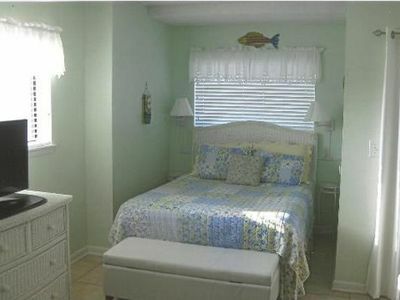 The previous owner's winter guest couple stayed two and a half months, and assured me they found it 'delightful'. 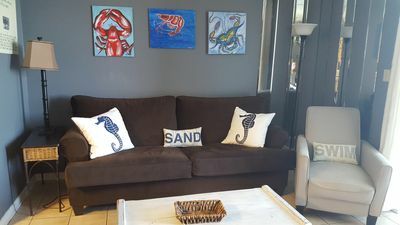 And that was before we repainted and redecorated with water colors and a surfing theme complete with surfer wall mural painted by a local artist. 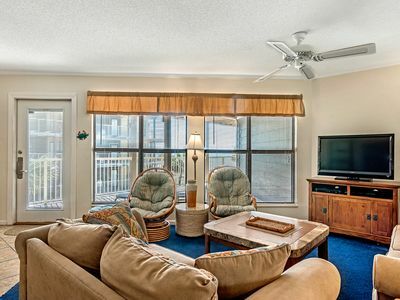 Find library bookcases against the Lobby wall as you go in holding books and magazines guests can borrow and return, plus a Hot Tub Room and Exercise Room that will open with the condo's key card. 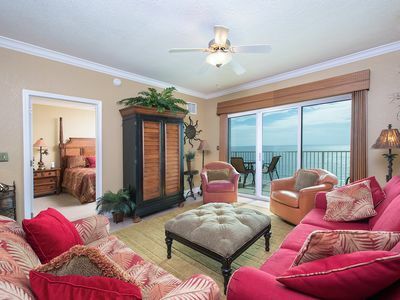 Keep going down the entrance hall and find restrooms for ladies and men, in case our condo one is not always sufficient! 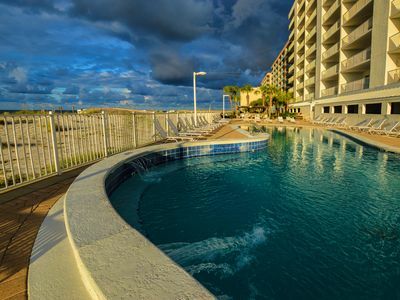 Take your bike along so you can ride around the complex - there are bike racks provided for you as well as first-come-first-serve charcoal grills scattered throughout the complex. 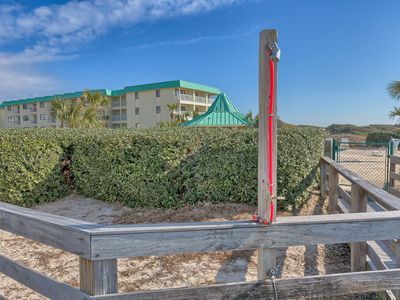 There is a coded entry lockbox waiting for you to come and be surprised by how nice a small beach condo can be, and enjoy its beach view from anywhere in the condo! 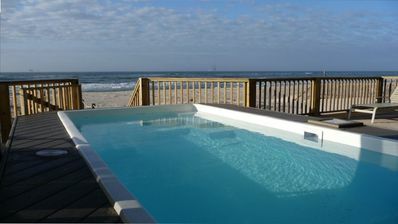 Best of Both Worlds! 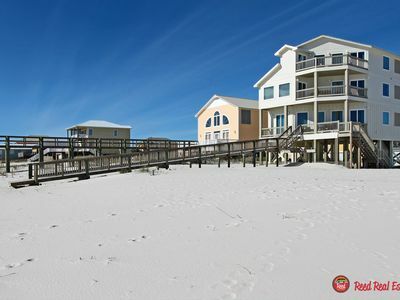 Bayside Marina with Boat Slip! 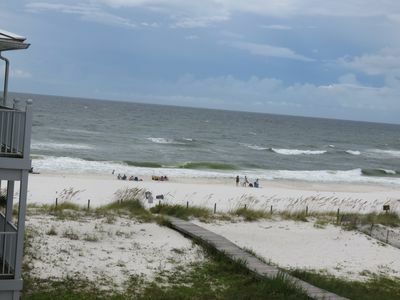 Beaches! 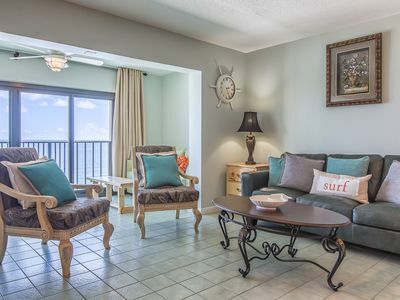 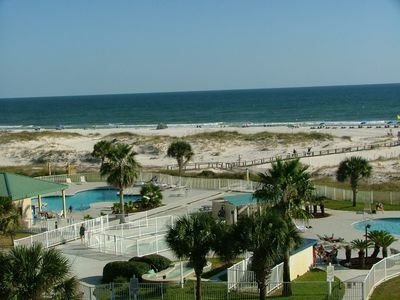 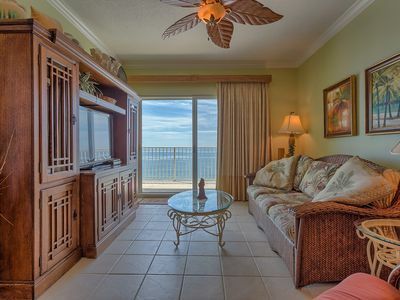 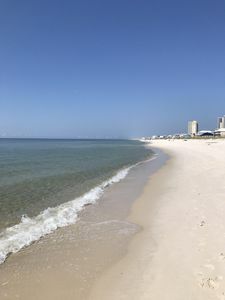 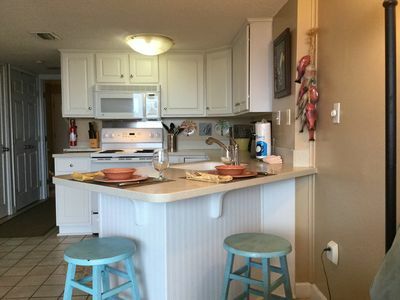 Fabulous Beachfront Condo with Gorgeous Views for your Gulf Shores Vacation!